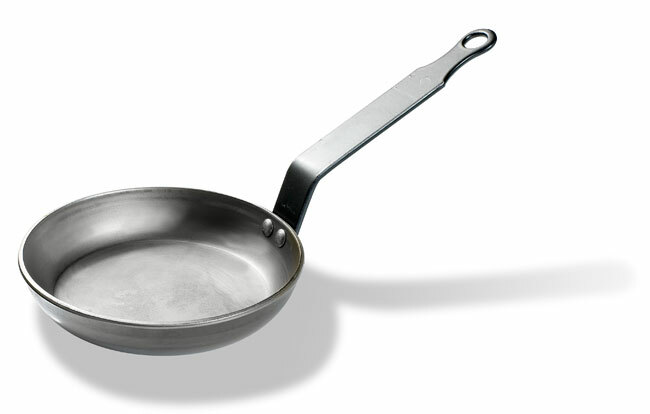 Fry pans in black steel plate for all hob types. High quality extra strong steel strip handle. Can be “seasoned” for non stick use and prolonged life. See instructions HERE. Iron handle.